Medical Identity Theft: Why it can be more dangerous than you think - Scarsdale Premier Insurance Agency | Advocate Brokerage Corp.
You pick up your mail one day and see a bill from an out of state hospital. It is in your name and is charging you for medical procedures that you never had. Confused, you call the hospital and they explain, you were in on a specific date and had surgery. They request that you remit payment immediately. You are a victim of medical identity theft. Medical Identity Theft is the fastest growing component of identity theft, claiming more than 1.8 million victims in 2013. It occurs when someone unlawfully obtains your medical information, medical insurance information, or social security number and uses this to obtain medical services for themselves. Medical identity theft is monetized on the black market for a much higher value than financial information, often selling for as much as five times more. This is due to the fact that medical identity theft is not monitored as well as financial data and can be used over a longer period of time. This type of identity theft can be more dangerous than other types of identity theft. How? Just imagine, someone steals your medical identity and goes in for surgery, but their blood type is different than yours or they acquire medication that you are allergic to. Not long after, you find yourself in need of emergency medical care. The medical staff caring for you looks up your medical records and gives you the wrong type of blood as a result. Or they administer medication that you are allergic to, after reading your file. Either way, it could seriously put your health at risk. Medical identity theft can be much harder to set straight than other types of identity theft. Plus, it can be much more costly. 36% of victims have to pay the fraudulent medical bills, averaging about $19,000. 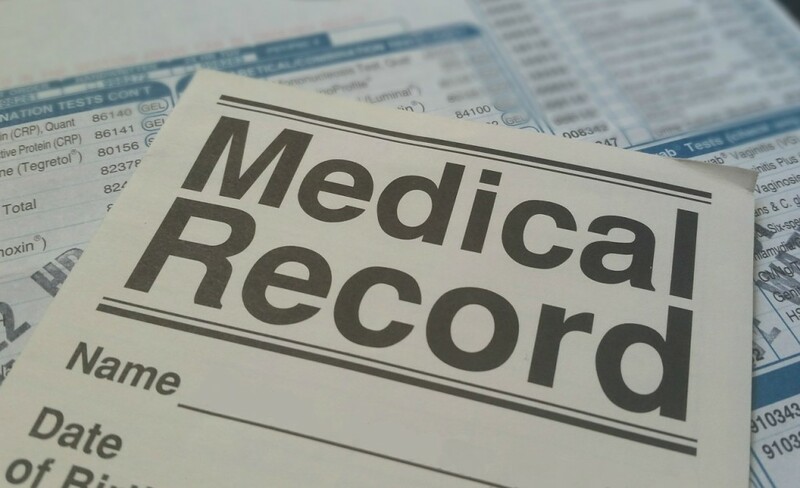 Additionally, it can be more difficult for you to obtain copies of your own medical information if someone else’s fraudulent medical history is comingled with your files. Be vigilant about personal information – Shred confidential documents that have private information such as social security numbers, medical information, and insurance information. Don’t share personal information – Don’t give your medical or personal information to anyone saying they are from your insurance company. Instead, explain that you are protective of your personal information and tell them that you will call back and then answer any questions they have. After hanging up, call the 800 number on your statement and explain that you received a call. Avoid links in emails that ask for private information as well. Move quickly on breach notifications – If you are notified about an information breach, act immediately. The quicker you act, the more likely you are to avoid an issue. This month we will be speaking about your identity and protecting it from all types of threats. It is always our goal to provide our clients with information that provides value and we hope that making you aware of medical identity theft and its possible consequences did just that. If you should have any further questions, we welcome you to leave them in the comment section below or give us a call to discuss them.